I tend to talk a big talk when I say things like, “Money can’t buy you happiness”, and “The best things in life are free”. I even gained thousands of new Instagram followers after writing a post about how my mom always told me we were “rich in love”. All of those mantras are true. I believe them with my whole heart. I truly do believe that buying bright and shiny new things can’t possibly buy happiness. But there is one thing that money buys that brings me so much happiness. It’s probably not what you think it is either. It’s not a thing, per se, rather than a feeling. Confused as to how money can buy a feeling? The one thing that money buys that brings me so much joy is financial security. To me, financial security is a feeling. It’s that really good feeling you get when you get a flat tire, need a new one, and realize you have enough money in savings to cover the expenses without feeling any financial strain. It’s that feeling when you pay bills, put money in savings, and still feel like you have money for the fun things in life like dining out and traveling. It’s the way I feel when Tom and I discuss making an impulse purchase, then think better of it because we’d rather put that money into savings. There are only a few material possessions I’ve ever bought that bring bring me true joy. Right off the bat, I can list my MacBook Pro, my DSLR, and my fiddle leaf fig tree. Those purchases bring me joy because I continue to work with them every single day. I’m not the kind of person who finds happiness in clothing or home decor. I find my happiness in doing. In providing. In making, traveling, eating, cooking, and being productive. That’s not to say I don’t enjoy a pair of jeans that fit like a well worn glove. Part of my life mission is to find a good pair of used jeans at the consignment store that fit like they were made for me. I won’t stop until I succeed. However, I’ll never be the type of person who gets excited about clothes shopping or shopping in general. As I’ve written countless times before, stuff stresses me out. What doesn’t stress me out is making financial decisions to spend less so we can actively put more money into savings. One of the hardest decisions you can make as an adult is figuring out how to spend your money. It’s not easy feat. It’s the reason so many of us are in debt, right? The one thing I feel like Tom and I are really good about doing is saying, “We don’t have the money for that“. It’s different than saying, “We don’t have the money (period)”. Because here’s the deal: most of us have the money to all sorts of things; what we don’t have is the money to do all the things. 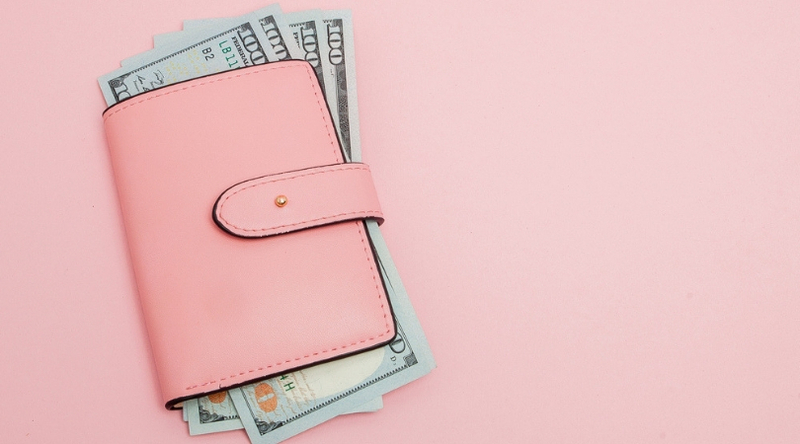 In order to truly save money like a pro, you have to prioritize. You have to be able to say, “I don’t have the money for that“. Last week I took the kids to LEGOLAND for the day. We all wanted to stay the night at the LEGOLAND hotel. It’s amazing. The suite style rooms have bunk beds, a trundle bed and a king bed. Each suite has a fun LEGO theme with LEGOS in each room, and even giant LEGO blocks in the pool. 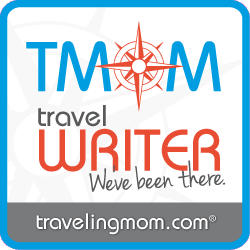 As a travel writer, I’ve wanted to stay there for years. It may sound silly, but it’s a bucket list destination for me, right up there with Rome and the Island of Capri. I will stay there before I die! At $415 a night, it wasn’t in our budget last week. I looked through our finances and figured out that we “could make it work”. We could afford a night stay without feeling too much financial pressure. But then Tom and I really talked about it. We have thousands of dollars in hospital bills from Robert’s recent trips to the hospital. We are still helping to take care of my mom and little brother, so who knows what kind of money we will need over the next few months or even years. Even though we are careful spenders, life is expensive, and the truth is we have too many debts to pay right now before we can justify $415 on a one night stay in Winter Haven, FL. This was one of those times where we had to be sensible and say to ourselves that just because we could, didn’t mean we should. A normal person probably would have been bummed about that decision. They would have moped and felt sorry for themselves. Not me. I learned years ago that I’m not a normal person. I’m the crazy person who felt on top of the world with glee. I felt happy because I knew I made an important decision towards my financial security. And that ‘s what I mean about money buying me happiness. It’s not a thing that makes me happy. It’s a feeling. It’s the feeling I get every single time we make a hard financial decision to put money into savings instead of buying or doing something we don’t really need. It’s the feeling I’ll get again once we pay off all those pesky hospital bills, or when we contribute to the kids’ college funds. It’s the way I feel when I buy something I really do need, but know with certainty that we can afford it. 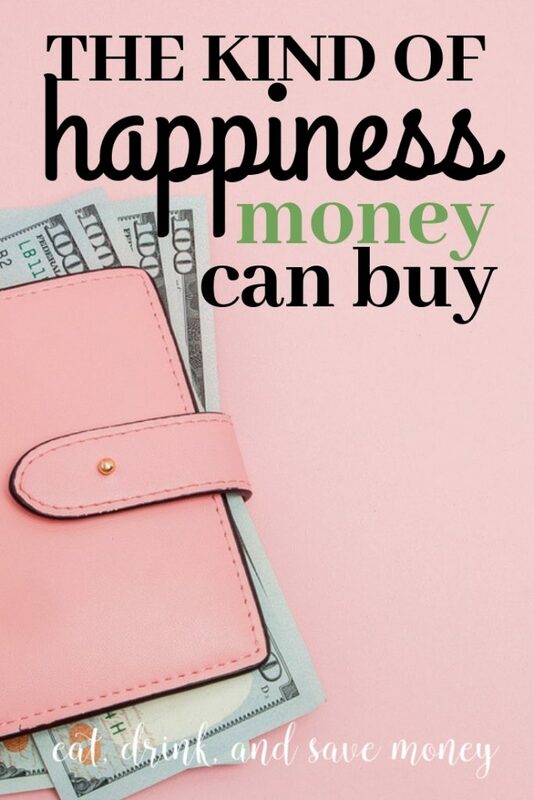 It’s the kind of happiness that money can buy.